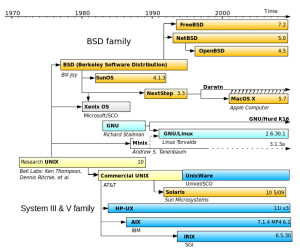 A Linux-based operating system is a Unix-like computer operating system assembled under the model of free and open source software development and distribution. The defining component of a Linux-based operating system is the Linux kernel, an operating system kernel first released 5 October 1991 by Linus Torvalds. The term Linux properly refers to just the operating system kernel itself. However, in popular parlance ‘Linux’ is used to refer to a complete Linux Distribution which includes GUI components and many other utilities, many of which are supplied by the GNU Project. Android, for example also uses the Linux kernel but includes different components from most desktop Linux distributions. The Linux kernel was originally developed as a free kernel for Intel x86-based personal computers. It has since been ported to more computer hardware platforms than any other kernel. Linux based operating systems are the leading operating system type on servers and other big iron systems such as mainframe computers and supercomputers: more than 90% of today’s 500 fastest supercomputers run some variant of Linux, including the 10 fastest. Linux also runs on embedded systems (devices where the operating system is typically built into the firmware and highly tailored to the system) such as mobile phones, tablet computers, network routers, televisions and video game consoles; the Android system in wide use on mobile devices is built on the Linux kernel. The development of Linux is one of the most prominent examples of free and open source software collaboration: the underlying source code may be used, modified, and distributed—commercially or non-commercially—by anyone under licenses such as the GNU General Public License. Typically Linux is packaged in a format known as a Linux distribution for desktop and server use. Some popular mainstream Linux distributions include Debian (and its derivatives such as Ubuntu), Fedora and openSUSE. Linux distributions include the Linux kernel, supporting utilities and libraries and usually a large amount of application software to fulfill the distribution’s intended use. A distribution oriented toward desktop use will typically include the X Window System and an accompanying desktop environment such as GNOME or KDE Plasma. Some such distributions may include a less resource intensive desktop such as LXDE or Xfce for use on older or less powerful computers. A distribution intended to run as a server may omit all graphical environments from the standard install and instead include other software such as the Apache HTTP Server and an SSH server such as OpenSSH. Because Linux is freely redistributable, anyone may create a distribution for any intended use. Applications commonly used with desktop Linux systems include the Mozilla Firefox web browser, the LibreOffice office application suite, and the GIMP image editor. Since the C compiler Linux is written with and the main supporting user space system tools and libraries originated in the GNU Project, initiated in 1983 by Richard Stallman, the Free Software Foundation prefers the name GNU/Linux. The Unix operating system was conceived and implemented in 1969 at AT&T’s Bell Laboratories in the United States by Ken Thompson, Dennis Ritchie, Douglas McIlroy, and Joe Ossanna. It was first released in 1971 and was initially entirely written in assembly language, a common practice at the time. Later, in a key pioneering approach in 1973, Unix was re-written in the programming language C by Dennis Ritchie (with exceptions to the kernel and I/O). The availability of an operating system written in a high-level language allowed easier portability to different computer platforms. With a legal glitch forcing AT&T to license the operating system’s source code to anyone who asked, Unix quickly grew and became widely adopted by academic institutions and businesses. In 1984, AT&T divested itself of Bell Labs. Free of the legal glitch requiring free licensing, Bell Labs began selling Unix as a proprietary product. The GNU Project, started in 1983 by Richard Stallman, had the goal of creating a “complete Unix-compatible software system” composed entirely of free software. Work began in 1984. 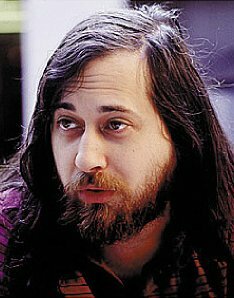 Later, in 1985, Stallman started the Free Software Foundation and wrote the GNU General Public License (GNU GPL) in 1989. By the early 1990s, many of the programs required in an operating system (such as libraries, compilers, text editors, a Unix shell, and a windowing system) were completed, although low-level elements such as device drivers, daemons, and the kernel were stalled and incomplete.Linus Torvalds has said that if the GNU kernel had been available at the time (1991), he would not have decided to write his own. Although not released until 1992 due to legal complications, development of 386BSD, from which NetBSD and FreeBSD descended, predated that of Linux. 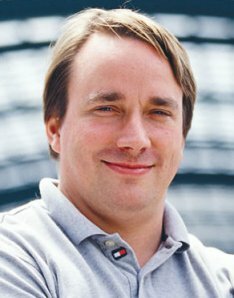 Linus Torvalds has said that if 386BSD had been available at the time, he probably would not have created Linux. Today, Linux systems are used in every domain, from embedded systems to supercomputers, and have secured a place in server installations often using the popular LAMP application stack.Use of Linux distributions in home and enterprise desktops has been growing.They have also gained popularity with various local and national governments. The federal government of Brazil is well known for its support for Linux. News of the Russian military creating its own Linux distribution has also surfaced, and has come to fruition as the G.H.ost Project. The Indian state of Kerala has gone to the extent of mandating that all state high schools run Linux on their computers.China uses Linux exclusively as the operating system for its Loongson processor family to achieve technology independence. In Spain some regions have developed their own Linux distributions, which are widely used in education and official institutions, like gnuLinEx in Extremadura and Guadalinex in Andalusia. Portugal is also using its own Linux distribution Caixa Mágica, used in the Magalhães netbook and the e-escola government program. France and Germany have also taken steps toward the adoption of Linux. Linux distributions have also become popular in the netbook market, with many devices such as the ASUS Eee PC and Acer Aspire One shipping with customized Linux distributions installed. Torvalds continues to direct the development of the kernel. Stallman heads the Free Software Foundation,which in turn supports the GNU components. Finally, individuals and corporations develop third-party non-GNU components. These third-party components comprise a vast body of work and may include both kernel modules and user applications and libraries. Linux vendors and communities combine and distribute the kernel, GNU components, and non-GNU components, with additional package management software in the form of Linux distributions. A Linux-based system is a modular Unix-like operating system. It derives much of its basic design from principles established in Unix during the 1970s and 1980s. Such a system uses a monolithic kernel, the Linux kernel, which handles process control, networking, and peripheral and file system access. Device drivers are either integrated directly with the kernel or added as modules loaded while the system is running. Separate projects that interface with the kernel provide much of the system’s higher-level functionality. The GNU userland is an important part of most Linux-based systems, providing the most common implementation of the C library, a popular shell, and many of the common Unix tools which carry out many basic operating system tasks. The graphical user interface (or GUI) used by most Linux systems is built on top of an implementation of the X Window System. A bootloader – for example GRUB or LILO. This is a program which is executed by the computer when it is first turned on, and loads the Linux kernel into memory. Software libraries which contain code which can be used by running processes. On Linux systems using ELF-format executable files, the dynamic linker which manages use of libraries is “ld-linux.so”. The most commonly used software library on Linux systems is the GNU C Library. The user interface, also known as the shell, is either a command line interface (CLI), a graphical user interface (GUI), or through controls attached to the associated hardware, which is common for embedded systems. For desktop systems, the default mode is usually a graphical user interface, although the CLI is available through terminal emulator windows or on a separate virtual console. Most low-level Linux components, including the GNU userland, use the CLI exclusively. The CLI is particularly suited for automation of repetitive or delayed tasks, and provides very simple inter-process communication. On desktop systems, the most popular user interfaces are the extensive desktop environments KDE Plasma Desktop, GNOME, Unity and Xfce,though a variety of additional user interfaces exist. Most popular user interfaces are based on the X Window System, often simply called “X”. It provides network transparency and permits a graphical application running on one system to be displayed on another where a user may interact with the application. Other GUIs may be classified as simple X window managers, such as FVWM, Enlightenment, and Window Maker, which provide a minimalist functionality with respect to the desktop environments. A window manager provides a means to control the placement and appearance of individual application windows, and interacts with the X Window System. The desktop environments include window managers as part of their standard installations (Mutter for GNOME, KWin for KDE, Xfwm for Xfce as of January 2012) although users may choose to use a different window manager if preferred. The primary difference between Linux and many other popular contemporary operating systems is that the Linux kernel and other components are free and open source software. Linux is not the only such operating system, although it is by far the most widely used. Some free and open source software licenses are based on the principle of copyleft, a kind of reciprocity: any work derived from a copyleft piece of software must also be copyleft itself. The most common free software license, the GNU GPL, is a form of copyleft, and is used for the Linux kernel and many of the components from the GNU project. Linux based distributions are intended by developers for interoperability with other operating systems and established computing standards. Linux systems adhere to POSIX, SUS, ISO, and ANSI standards where possible, although to date only one Linux distribution has been POSIX.1 certified, Linux-FT.
Free software projects, although developed in a collaborative fashion, are often produced independently of each other. The fact that the software licenses explicitly permit redistribution, however, provides a basis for larger scale projects that collect the software produced by stand-alone projects and make it available all at once in the form of a Linux distribution. A Linux distribution, commonly called a “distro”, is a project that manages a remote collection of system software and application software packages available for download and installation through a network connection. This allows users to adapt the operating system to their specific needs. Distributions are maintained by individuals, loose-knit teams, volunteer organizations, and commercial entities. A distribution is responsible for the default configuration of the installed Linux kernel, general system security, and more generally integration of the different software packages into a coherent whole. Distributions typically use a package manager such as dpkg, Synaptic, YAST, yum, or Portage to install, remove and update all of a system’s software from one central location. A distribution is largely driven by its developer and user communities. Some vendors develop and fund their distributions on a volunteer basis, Debian being a well-known example. Others maintain a community version of their commercial distributions, as Red Hat does with Fedora and Novell does with openSUSE. In many cities and regions, local associations known as Linux User Groups (LUGs) seek to promote their preferred distribution and by extension free software. They hold meetings and provide free demonstrations, training, technical support, and operating system installation to new users. Many Internet communities also provide support to Linux users and developers. Most distributions and free software / open source projects have IRC chatrooms or newsgroups. Online forums are another means for support, with notable examples being LinuxQuestions.org and the various distribution specific support and community forums, such as ones for Ubuntu, Fedora, and Gentoo. Linux distributions host mailing lists; commonly there will be a specific topic such as usage or development for a given list. There are several technology websites with a Linux focus. Print magazines on Linux often include cover disks including software or even complete Linux distributions. Although Linux distributions are generally available without charge, several large corporations sell, support, and contribute to the development of the components of the system and of free software. An analysis of the Linux kernel showed 75 percent of the code from December 2008 to January 2010 was developed by programmers working for corporations, leaving about 18 percent to volunteers and 7% unclassified.Some of the major corporations that contribute include Dell, IBM, HP, Oracle, Sun Microsystems (now part of Oracle), Novell, and Nokia. A number of corporations, notably Red Hat and Novell, have built a significant business around Linux distributions. The free software licenses, on which the various software packages of a distribution built on the Linux kernel are based, explicitly accommodate and encourage commercialization; the relationship between a Linux distribution as a whole and individual vendors may be seen as symbiotic. One common business model of commercial suppliers is charging for support, especially for business users. A number of companies also offer a specialized business version of their distribution, which adds proprietary support packages and tools to administer higher numbers of installations or to simplify administrative tasks. Another business model is to give away the software in order to sell hardware. This used to be the norm in the computer industry, with operating systems such as CP/M, Apple DOS and versions of Mac OS prior to 7.6 freely copyable (but not modifiable). As computer hardware standardized throughout the 1980s, it became more difficult for hardware manufacturers to profit from this tactic, as the OS would run on any manufacturer’s computer that shared the same architecture. Most Linux distributions support dozens of programming languages. The original development tools used for building both Linux applications and operating system programs are found within the GNU toolchain, which includes the GNU Compiler Collection (GCC) and the GNU build system. Amongst others, GCC provides compilers for Ada, C, C++, Java, and Fortran. First released in 2003, the Low Level Virtual Machine project provides an alternative open-source compiler for many languages. Proprietary compilers for Linux include the Intel C++ Compiler, Sun Studio, and IBM XL C/C++ Compiler. BASIC in the form of Visual Basic is supported in such forms as Gambas, FreeBASIC, and XBasic, and in terms of terminal programming or QuickBASIC or Turbo BASIC programming in the form of QB64. Most distributions also include support for PHP, Perl, Ruby, Python and other dynamic languages. While not as common, Linux also supports C# (via Mono), Vala, and Scheme. A number of Java Virtual Machines and development kits run on Linux, including the original Sun Microsystems JVM (HotSpot), and IBM’s J2SE RE, as well as many open-source projects like Kaffe and JikesRVM. GNOME and KDE are popular desktop environments and provide a framework for developing applications. These projects are based on the GTK+ and Qt widget toolkits, respectively, which can also be used independently of the larger framework. Both support a wide variety of languages. There are a number of Integrated development environments available including Anjuta, Code::Blocks, CodeLite, Eclipse, Geany, ActiveState Komodo, KDevelop, Lazarus, MonoDevelop, NetBeans, Qt Creator and Omnis Studio, while the long-established editors Vim, nano and Emacs remain popular. As well as those designed for general purpose use on desktops and servers, distributions may be specialized for different purposes including: computer architecture support, embedded systems, stability, security, localization to a specific region or language, targeting of specific user groups, support for real-time applications, or commitment to a given desktop environment. Furthermore, some distributions deliberately include only free software. Currently, over three hundred distributions are actively developed, with about a dozen distributions being most popular for general-purpose use. Linux is a widely ported operating system kernel. The Linux kernel runs on a highly diverse range of computer architectures: in the hand-held ARM-based iPAQ and the mainframe IBM System z9, System z10; in devices ranging from mobile phones to supercomputers. Specialized distributions exist for less mainstream architectures. The ELKS kernel fork can run on Intel 8086 or Intel 80286 16-bit microprocessors, while the µClinux kernel fork may run on systems without a memory management unit. The kernel also runs on architectures that were only ever intended to use a manufacturer-created operating system, such as Macintosh computers (with both PowerPC and Intel processors), PDAs, video game consoles, portable music players, and mobile phones. See List of Linux supported architectures. There are several industry associations and hardware conferences devoted to maintaining and improving support for diverse hardware under Linux, such as FreedomHEC. The popularity of Linux on standard desktop computers and laptops has been increasing over the years.Currently most distributions include a graphical user environment, with the two most popular environments being GNOME (which can utilize additional shells such as the default GNOME Shell and Ubuntu Unity), and the KDE Plasma Desktop. The performance of Linux on the desktop has been a controversial topic; for example in 2007 Con Kolivas accused the Linux community of favoring performance on servers. He quit Linux kernel development because he was frustrated with this lack of focus on the desktop, and then gave a “tell all” interview on the topic. Since then a significant amount of development has been undertaken in an effort to improve the desktop experience. Projects such as Upstart and systemd aim for a faster boot time. Many popular applications are available for a wide variety of operating systems. For example Mozilla Firefox, OpenOffice.org/LibreOffice and Blender have downloadable versions for all major operating systems. Furthermore, some applications were initially developed for Linux, such as Pidgin, and GIMP, and were ported to other operating systems including Windows and Mac OS X due to their popularity. In addition, a growing number of proprietary desktop applications are also supported on Linux; see List of proprietary software for Linux. In the field of animation and visual effects, most high end software, such as Autodesk Maya, Softimage XSI and Apple Shake, is available for Linux, Windows and/or Mac OS X. There are also several companies that have ported their own or other companies’ games to Linux. Many types of applications available for Microsoft Windows and Mac OS X are also available for Linux. Commonly, either a free software application will exist which does the functions of an application found on another operating system, or that application will have a version that works on Linux, such as with Skype and some video games.Furthermore, the Wine project provides a Windows compatibility layer to run unmodified Windows applications on Linux. CrossOver is a proprietary solution based on the open source Wine project that supports running Windows versions of Microsoft Office, Intuit applications such as Quicken and QuickBooks, Adobe Photoshop versions through CS2, and many popular games such as World of Warcraft and Team Fortress 2. In other cases, where there is no Linux port of some software in areas such as desktop publishing and professional audio, there is equivalent software available on Linux. The collaborative nature of free software development allows distributed teams to perform language localization of some Linux distributions for use in locales where localizing proprietary systems would not be cost-effective. For example the Sinhalese language version of the Knoppix distribution was available significantly before Microsoft Windows XP was translated to Sinhalese. In this case the Lanka Linux User Group played a major part in developing the localized system by combining the knowledge of university professors, linguists, and local developers. Installing, updating and removing software in Linux is typically done through the use of package managers such as the Synaptic Package Manager, PackageKit, and Yum Extender. While most major Linux distributions have extensive repositories, often containing tens of thousands of packages, not all the software that can run on Linux is available from the official repositories. Alternatively, users can install packages from unofficial repositories, download pre-compiled packages directly from websites, or compile the source code by themselves. All these methods come with different degrees of difficulty; compiling the source code is in general considered a challenging process for new Linux users, but it is hardly needed in modern distributions and is not a method specific to Linux. Linux distributions have long been used as server operating systems, and have risen to prominence in that area; Netcraft reported in September 2006 that eight of the ten most reliable internet hosting companies ran Linux distributions on their web servers.Since June 2008, Linux distributions represented five of the top ten, FreeBSD three of ten, and Microsoft two of ten;since February 2010, Linux distributions represented six of the top ten, FreeBSD two of ten, and Microsoft one of ten. Linux distributions are the cornerstone of the LAMP server-software combination (Linux, Apache, MySQL, Perl/PHP/Python) which has achieved popularity among developers, and which is one of the more common platforms for website hosting. Linux distributions have become increasingly popular on mainframes in the last decade partly due to pricing and the open-source model. 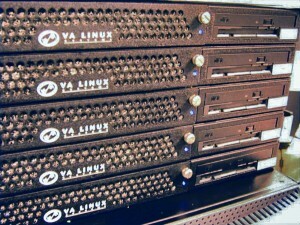 In December 2009, computer giant IBM reported that it would predominantly market and sell mainframe-based Enterprise Linux Server. Linux distributions are also commonly used as operating systems for supercomputers: since November 2010, out of the top 500 systems, 459 (91.8%) run a Linux distribution.Linux was also selected as the operating system for the world’s most powerful supercomputer, IBM’s Sequoia which was scheduled to become operational in 2011. Due to its low cost and ease of customization, Linux is often used in embedded systems. Android—based on a modified version of the Linux kernel—has become a major competitor of Nokia’s older Symbian OS, found in many smartphones. During the third quarter of 2010, 25.5% of smartphones sold worldwide used Android (with all Linux variants forming 27.6% of the total during that time). Cell phones and PDAs running Linux on open-source platforms became more common from 2007; examples include the Nokia N810, Openmoko’s Neo1973, and the Motorola ROKR E8. 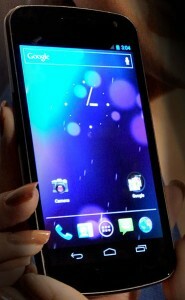 Continuing the trend, Palm (later acquired by HP) produced a new Linux-derived operating system, webOS, which is built into its new line of Palm Pre smartphones. The popular TiVo digital video recorder also uses a customized Linux as do several network firewalls and routers from such makers as Cisco/Linksys. The Korg OASYS, the Korg KRONOS, the Yamaha Yamaha Motif XS/Motif XF music workstations, Yamaha S90XS/S70XS, Yamaha MOX6/MOX8 synthesizers, Yamaha Motif-Rack XS tone generator module, and Roland RD-700GX digital piano also run Linux. Linux is also used in stage lighting control systems, such as the WholeHogIII console. 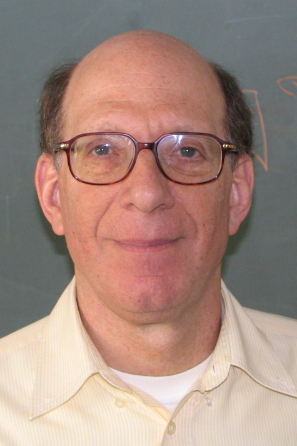 Many quantitative studies of free / open source software focus on topics including market share and reliability, with numerous studies specifically examining Linux. The Linux market is growing rapidly, and the revenue of servers, desktops, and packaged software running Linux was expected to exceed $35.7 billion by 2008. IDC’s Q1 2007 report indicated that Linux held 12.7% of the overall server market at that time. This estimate was based on the number of Linux servers sold by various companies, and did not include server hardware purchased separately which had Linux installed on it later. In September 2008 Microsoft CEO Steve Ballmer admitted that 60% of web-servers run Linux versus 40% that run Windows Server. Primarily based on web server statistics, various companies estimated that the desktop market share of Linux range from less than 1% to 4.8%. In comparison, Microsoft operating systems hold more than 85%. Analysts and proponents attribute the relative success of Linux to its security, reliability, low cost, and freedom from vendor lock-in. The Wine compatibility layer allows users to run many programs designed for Windows under Linux. About half of Wine’s code has been contributed by volunteers and half sponsored by commercial interests including CodeWeavers, which produces a commercial version of the software. Since 2009, Google has also provided funding to the Wine project. The XO laptop project of One Laptop Per Child is creating a new and potentially much larger Linux community which is planned to reach millions of schoolchildren and their families in the developing world.Major supporters of the project include Google, Red Hat, and eBay. Although the XO will have a Windows option, it will be primarily deployed with Fedora Linux while using Sugar as the desktop environment. For years Linux has been the platform of choice in the film industry. The first major film produced on Linux servers was 1997’s Titanic.Since then major studios including Dreamworks Animation, Pixar, Weta Digital, and Industrial Light & Magic have migrated to Linux.According to the Linux Movies Group, more than 95% of the servers and desktops at large animation and visual effects companies use Linux. Linux and most GNU software are licensed under the GNU General Public License (GPL). The GPL requires that anyone who distributes Linux must make the source code (and any modifications) available to the recipient under the same terms. Other key components of a software system may use other licenses; many libraries use the GNU Lesser General Public License (LGPL), a more permissive variant of the GPL, and the X.org implementation of the X Window System uses the MIT License. 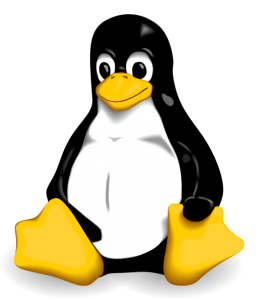 Torvalds states that the Linux kernel will not move from version 2 of the GPL to version 3. He specifically dislikes some provisions in the new license which prohibit the use of the software in digital rights management, and it would also be impractical to obtain permission from all the copyright holders, who number in the thousands. A 2001 study of Red Hat Linux 7.1 found that this distribution contained 30 million source lines of code. Using the Constructive Cost Model, the study estimated that this distribution required about eight thousand man-years of development time. According to the study, if all this software had been developed by conventional proprietary means, it would have cost about $1.46 billion (2012 US dollars) to develop in the United States. Most of the code (71%) was written in the C programming language, but many other languages were used, including C++, Lisp, assembly language, Perl, Python, Fortran, and various shell scripting languages. Slightly over half of all lines of code were licensed under the GPL. The Linux kernel itself was 2.4 million lines of code, or 8% of the total. In a later study, the same analysis was performed for Debian GNU/Linux version 4.0 (etch, which was released in 2007). This distribution contained close to 283 million source lines of code, and the study estimated that it would have required about seventy three thousand man-years and cost US$8.04 billion (in 2012 dollars) to develop by conventional means. In the United States, the name Linux is a trademark registered to Linus Torvalds. Initially, nobody registered it, but on 15 August 1994, William R. Della Croce, Jr. filed for the trademark Linux, and then demanded royalties from Linux distributors. In 1996, Torvalds and some affected organizations sued him to have the trademark assigned to Torvalds, and in 1997 the case was settled. The licensing of the trademark has since been handled by the Linux Mark Institute. Torvalds has stated that he trademarked the name only to prevent someone else from using it. LMI originally charged a nominal sublicensing fee for use of the Linux name as part of trademarks, but later changed this in favor of offering a free, perpetual worldwide sublicense. The Free Software Foundation views Linux distributions that use GNU software as GNU variants and they ask that such operating systems be referred to as GNU/Linux or a Linux-based GNU system. The media and common usage, however, refers to this family of operating systems simply as Linux, as do many large Linux distributions (e.g. SUSE Linux and Mandriva Linux). Some distributions, notably Debian, use GNU/Linux. The naming issue remains controversial.